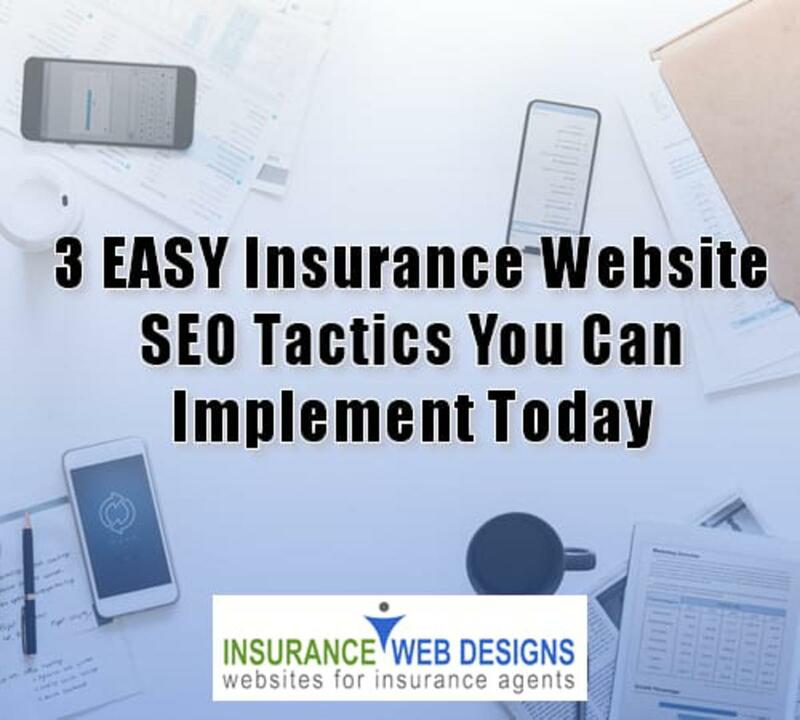 It's perhaps maybe not that long ago that using an insurance web site was considered to be a cost of doing business, however, perhaps not fundamentally a means to create leads. Today though, with the new generation of consumers and even a huge block of "traditional" consumers who consider themselves to be "with the times" in terms of doing business online, you must have an active, current, web presence that doesn't just sit there, it must add value. Brochure websites are really a thing of the past. A small percentage of insurance agencies are jumping in with both feet. And both feet means they are actively creating strategies that not only complement what they are already doing, but diverting marketing and operational expenses to generating leads online. Other insurance agencies (a much larger percentage) are just getting their feet wet. They are trying a variety of strategies and crossing their fingers that they see some results. #1 You Must Be Generating Content - Because "Content is King"
What is content? That's a great question, and most insurance agents have no clue what I mean when I say that. "Content is where I expect much of the real money will be made on the Internet, just as it was in broadcasting." That being said... content can literally be everything you find online, such as; apps, websites, photos, blog articles, videos, etc. In this article, I will be specifically addressing content writing, aka: blog posts. Content writing is used to attract potential customers and educate them about your products and services. First and foremost, search engines like Google, Bing, and others are muct better at identifying good content vs. bad content. You don't want to just toss up any old 300 word blog post and call it a day. You don't have to worry about keywords, or seo when you are writing. A well written article will have a topic, supporting information and a conclusion. Google can figure out the rest! Do your research. Evaluate other insurance websites to see what type of content ranks high in the search results. Put together a monthly budget that you feel comfortable with long term. And by long term, I mean for a year or more. You should expect to spend $150 - $200 for articles that are about 800-1000 words. Be patient. It's a marathon, not a sprint. Results just don't happen overnight, unfortunately. If you are just getting started, be prepared to spend at least twelve months before expecting any meaningful results. The internet is a wonderful thing and as mysterious as it can be, there is one thing we all know for sure! We all know bad service and a bad experience when we have one. Take some time to review websites that you think are consumer friendly and try to articulate to yourself WHY you think that? The key here is pinpoint the common threads amongst them and transfer those to your website so that it can start generating insurance leads for you. Concentrate on what YOUR customers want from you, not just what you want. Take different customers out to lunch or out for coffee and ask them. Pick their brain. You may be surprised by what you learn. #3 Let Your Customers Rave About You... Publically! Just in terms of the search engines, this one is a simple no-brainer. The search engines use online reviews to evaluate your site and content and use that information as part of their algorithm of determining which websites to show first in the results. If you're just getting your feet wet in this whole online marketing world... online reviews are the way to go! Simple, affordable, and extremely effective. These three tactics are extremely important, will take a commitment of both your time and money and in the end... are all valuable to you and your agency. Give me a call or schedule a meeting with me, if you'd like to talk about it.